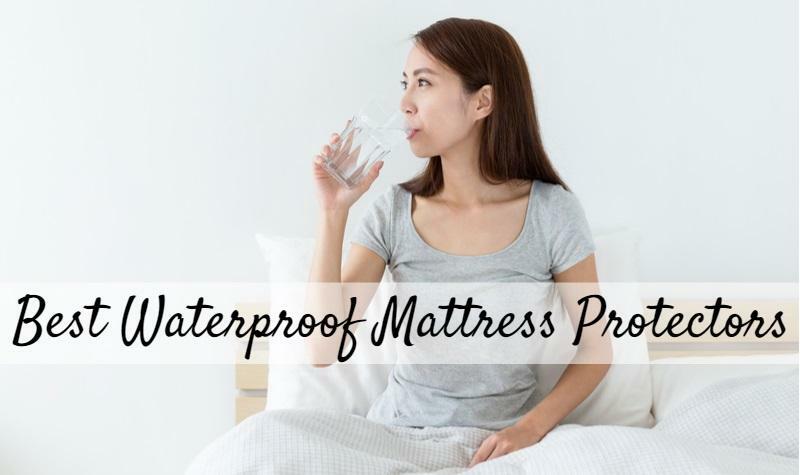 Do you need a waterproof mattress protector? You probably do. 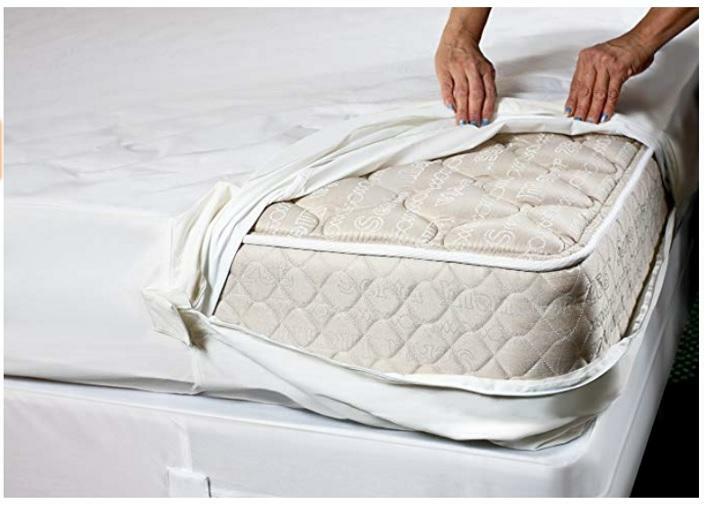 Whether your mattress set is brand new or a couple of years old, a mattress protector is always a good idea. 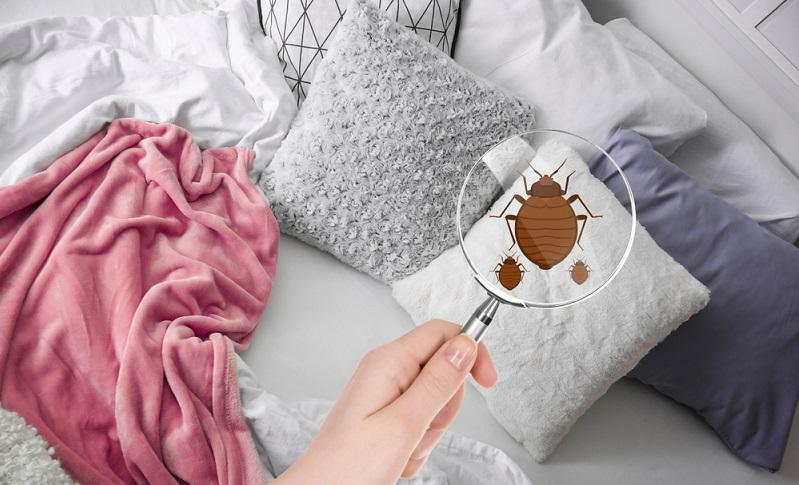 Depending on the type you buy, a mattress protector can keep your mattress clean, help you sleep cooler, protect your warranty, guard against bedbugs, and keep your mattress looking new longer. Waterproof mattress protectors are a particularly good idea for a number of reasons. Spills, excess sweating, and the occasional baby or animal accident will ruin your mattress, invalidate your warranty and wear out the foam a lot faster. If you have a spill or stain on your mattress, you can’t put your mattress into the washing machine to clean it. Allergies, particularly from dust mites and pet dander, can disrupt your sleep and keep you awake longer. 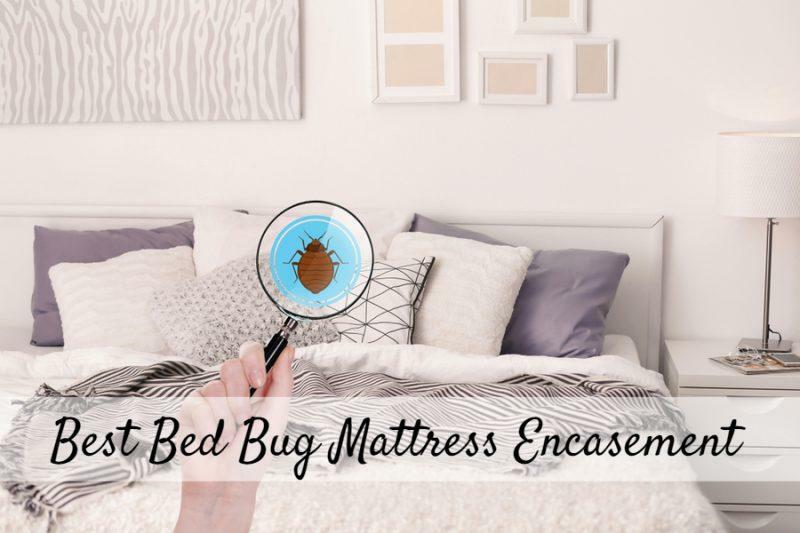 Allergens in your mattress are hard to get rid of. But they can be easily washed out of a mattress protector in the washing machine. Most mattress covers are added directly on top of the mattress and around the sides, like a fitted sheet. Some completely cover and encase the mattress and zip closed. Since you won’t be sleeping directly on the mattress, even with sheets, it won’t be exposed to anything that could damage it. There are two different types of waterproof mattress protectors. The first is made of a thick fabric (i.e., terry) that absorbs liquid and holds it. Others have a built-in waterproof layer to repel water completely and keep it from going near the mattress. Most modern waterproof covers don’t use vinyl, but a breathable PVC coating or layer. Some of the less-expensive types may use vinyl, and give off a crinkly noise every time you move, sounding like mattress storage bags. The best mattress waterproof protector both absorbs spills and has a layer that prevents moisture or spills from seeping down to the mattress. They may be more expensive, but will offer a better layer of protection. Incontinence is an embarrassing problem that can happen to anyone, and ruin a good night’s sleep. Bedwetting (or diaper leaks) by children or animals that sleep with you can also cause problems, and ruin your mattress. 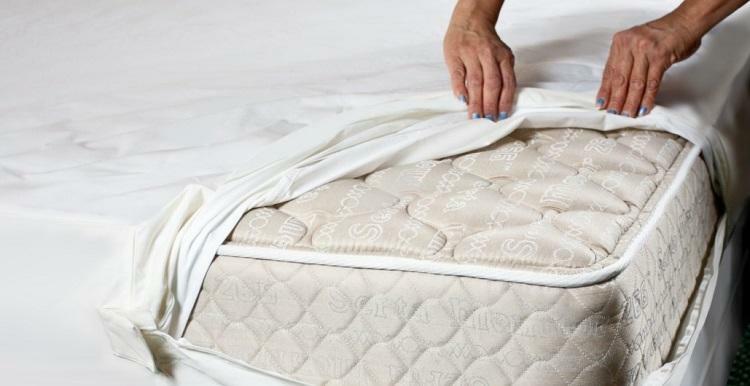 The solution—waterproof mattress pads that are easy to use and machine washable. A quality waterproof mattress pad should be comfortable, quiet and absorb a large amount of liquid, keeping it away from the mattress. These mattress protectors have come a long way from the noisy vinyl wrappings from ages ago. Today’s waterproof mattress protectors have different types of layers and coatings that are breathable, cooler and quiet. Many models are also hypoallergenic. What type should you get? Here are a few we’ve found that can help. 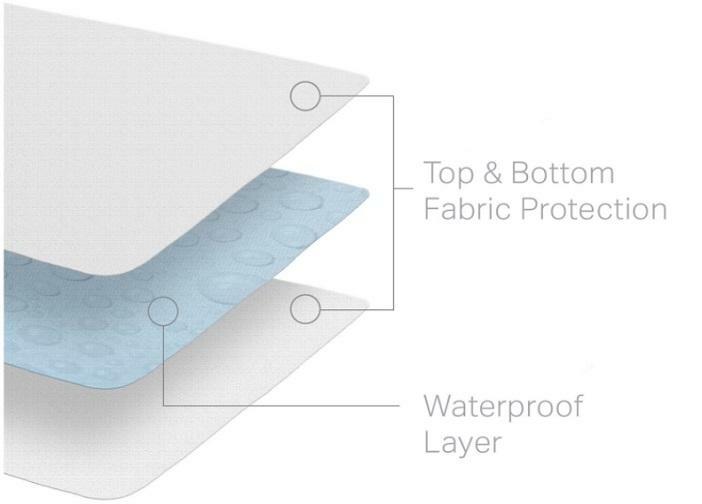 Nectar’s mattress protector is designed to offer a protective barrier between everything that might happen in the bedroom and the mattress underneath. Where some mattress protectors make crinkling sounds, the Nectar mattress pad is completely noiseless. 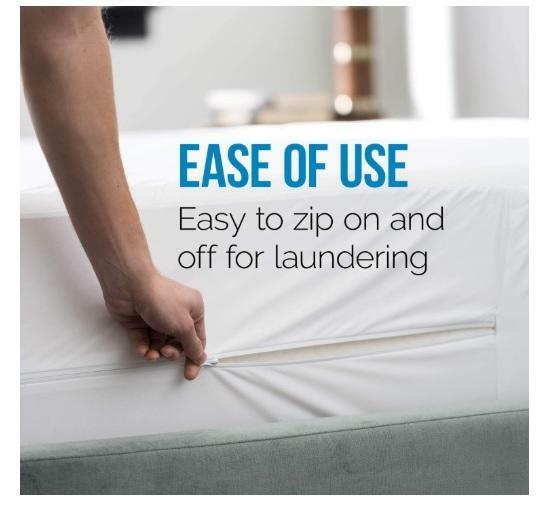 Even though it does a great job of keeping liquid and other stains away from your mattress, it offers a silky, soft feel. The top layer is quilted for added softness, and the stretchy sides fit most beds up to 22 inches thick, meaning you can protect just about any mattress with the Nectar pad. In case you’re wondering, the Nectar mattress pad is breathable as well as waterproof so you don’t feel hot and sticky while you’re sleeping, even in the warmest summer weather. This mattress pad is machine washable and it can be tumble-dried on low, so it’s easy to keep clean even if a messy spill has happened. 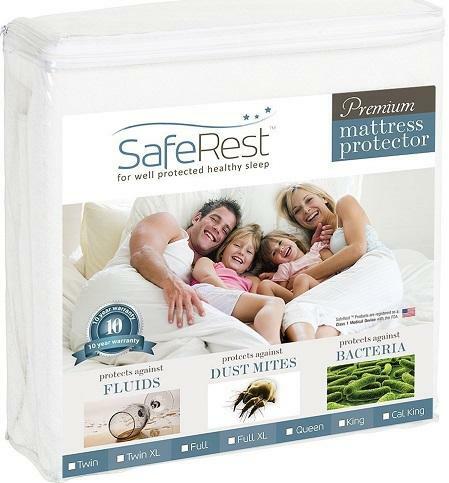 It’s also allergen resistant, so your bedroom environment and your mattress stay cleaner. Whatever your mattress size, Nectar has a protector to fit. The Nectar waterproof mattress pad is available in Twin, XL Twin, Full, Queen, King, and California King sizes, so your investment is protected! Every mattress protector from Nectar comes with a 30-day trial period so you can decide whether it’s right for you or your family member. Priced at $19.99, Lucid is only slightly more expensive than other models, but still affordable to buy two or three to swap out as needed. This model is actually a mattress-sized model that slips on the bed like a fitted sheet, under your regular sheets. Pillow protector sets are also available. It’s an Amazon’s Choice with more than 4,000 reviews, with 80% of them 4- and 5-star ratings. 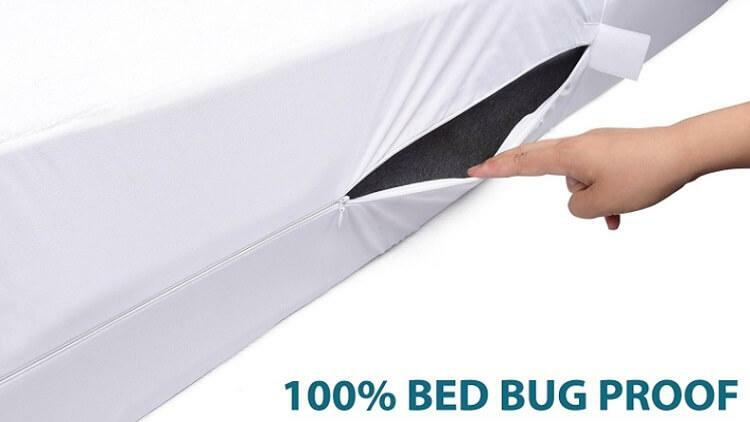 Offering 100% waterproof protection, it covers the five sides of your mattress for 100% waterproof protection. It is, however, more expensive than the previous two models. 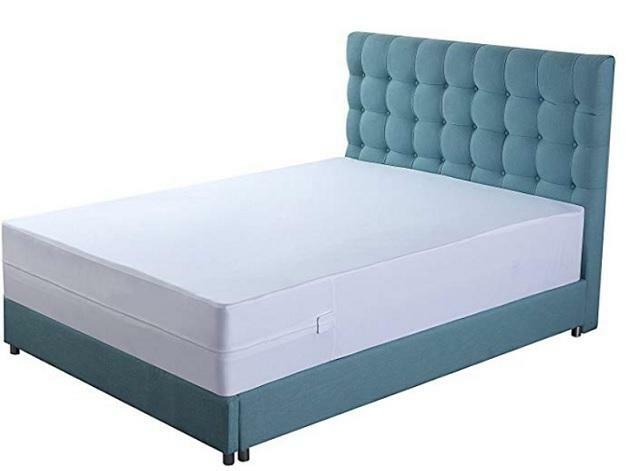 At around $74.99 for a queen-sized model, you might not buy multiples like the other two. 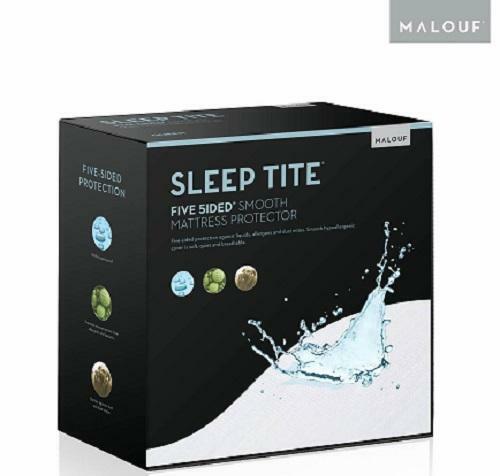 But the SLEEP TITE offers more complete coverage, including protection from bacteria, dust mites and bed bugs as well. Available in sizes twin to split king and split Cal king, the SLEEP TITE boasts a 15-year warranty. The fitted-sheet style can cover mattresses from 6” to 22” thick. This hypoallergenic cotton protector is an Amazon’s Choice with over 29,000 reviews and a #1 Seller for mattress protectors. Its fitted-sheet design holds comfortably on your bed, and is reasonably priced at $26.95 for a queen size. The SafeRest protects against bedwetting, sweating, spills, bacteria and other mishaps. 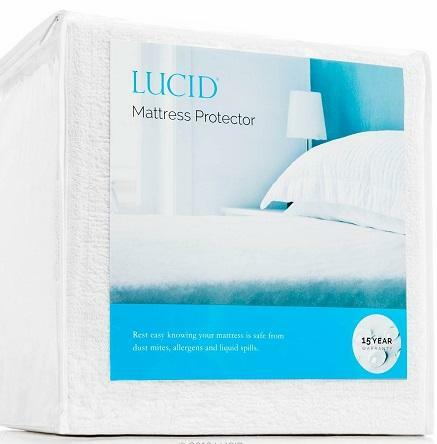 It also keeps your mattress safe from bedbugs, dust mites and allergens, giving you a better night’s sleep. The waterproof, breathable membrane is free of vinyl, phthalates and PVC, so there’s no off-gassing. 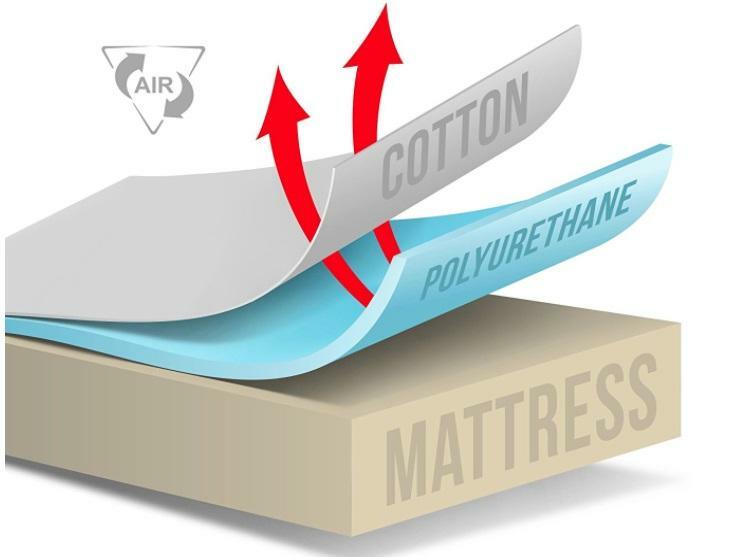 The membrane blocks liquids from the mattress while preventing heat buildup. It’s machine washable, and is designed to work with any type of mattress. Protect your mattress from the chance of an accidental morning coffee spill or other unintended liquid exposure with one of these. This inexpensive solution can lay right on top of your regular bedsheets and keep everything dry and clean. They’re thin, comfortable and last over 300 washes. These four-layered pads come in one size, 34″ x 52″ inches, so you can put the protection right where you need it. It’s made of polyester/rayon fiberfill and an ultra-absorbent inner layer in between a soft quilted absorbent surface. The skid-resistant, waterproof PVC liner keeps it in place and makes sure nothing gets past it, and stays quiet. The PharMeDoc pad can also be used for a baby’s changing pad or for reusable dog training/protection pads. At just $14.95 each, you can buy more than one and just swap them out as you need to and wash in the morning. 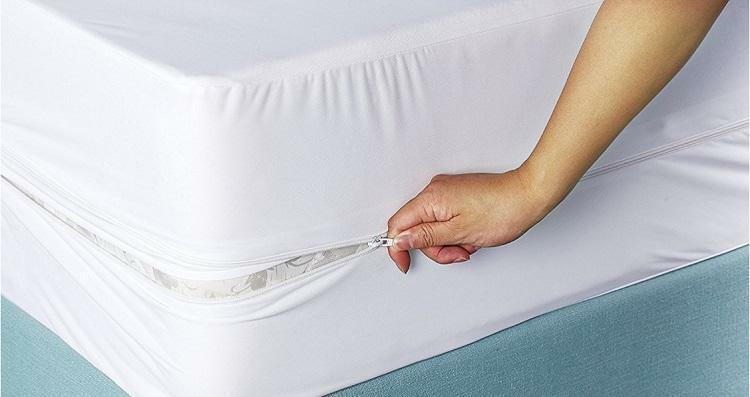 This thin, vinyl-free hypoallergenic protector fits mattresses from 8” to 21” thick easily. Machine washable and dryable, this soft, comfortable cover is also microbial, and protects from mold and mildew. 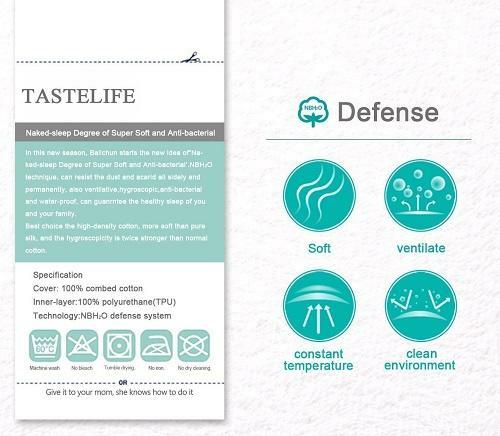 Nontoxic and SGS certified, TasteLife’s cover is also free of PVC, vinyl, phthalates, fire retardants and other toxic chemicals. Slips on like a fitted sheet and tucks under most mattresses, it’s TPU certified and NBH2O to be anti-microbial, water-resistant, comfortable and breathable. Of course, if you have a Tempur-pedic mattress, it makes sense to buy a mattress protector made for it, right? 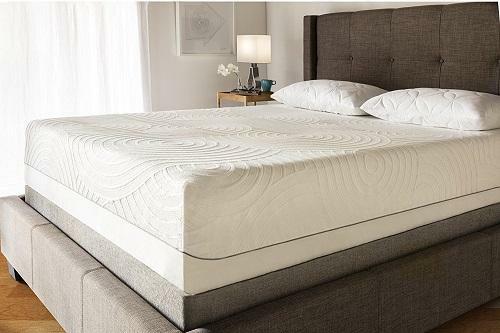 Made from lightweight ThermalSense fabric, the 100% polyester Tempur-Protect provides comfort with continuous airflow, helping you sleep cooler without changing the feel of your mattress. 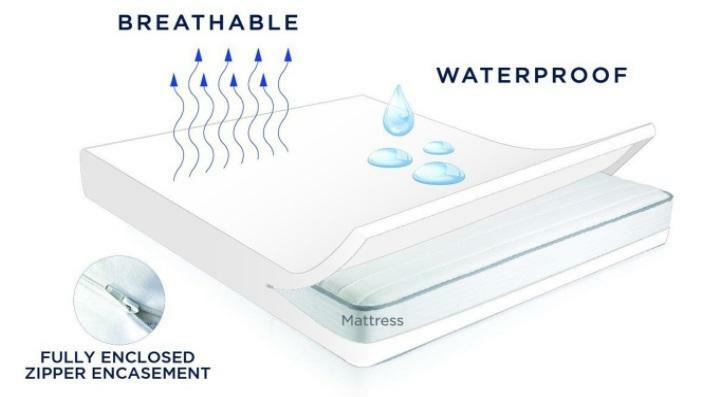 A waterproof coating protects your Tempur-pedic from spills, sweats and other moisture. It’s easy to put on and take off your bed, and stretches to stay on if you tend to move around at night. 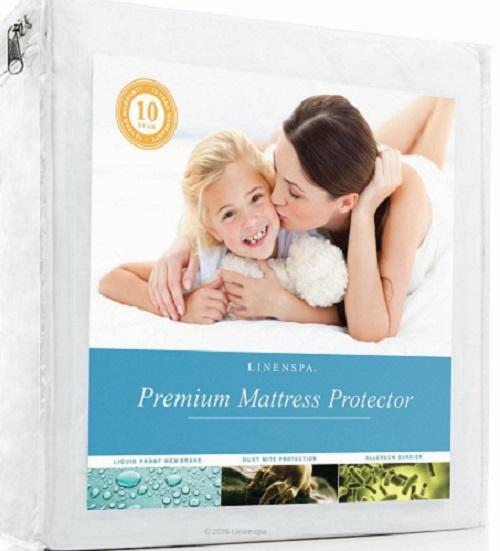 This Made in the USA protector is made specifically for the Tempur-pedic mattress series, and is machine washable. This breathable, hypoallergenic mattress pad is an Amazon’s Choice at just $15.99 for a queen-sized. Free of vinyl and very quiet, it’s 100% waterproof and comes with a ten-year warranty. The ultra-thin design won’t change the feel of your mattress, and it keeps your sleeping temperature comfortable. The fitted-sheet style fits and works well with mattresses from 5” to 18” thick, and is safe for both children and pets. 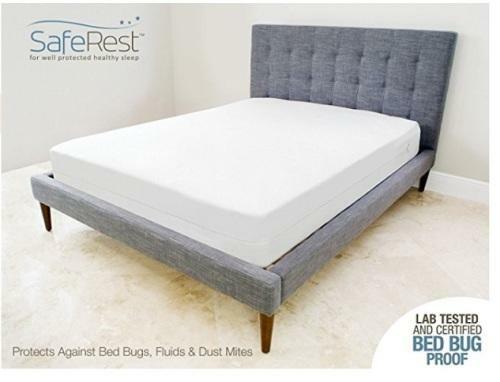 This crinkle-free, flexible plastic protector is nonporous, so it keeps dust mites and allergens out of your mattress but stays cool and breathable. You can wash it and tumble dry it on low, and is odor free. Thin but strong, and doesn’t stop a cooling mattress or retain heat. 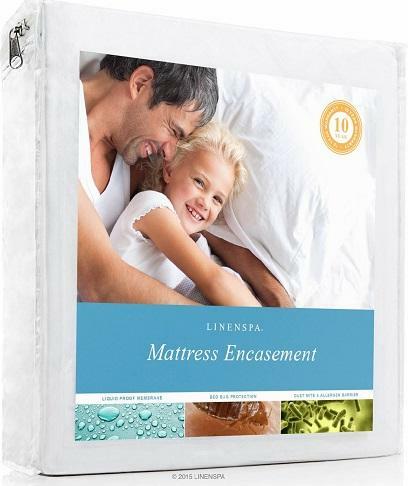 If you prefer a full zippered encasement cover, this version of Linenspa’s waterproof cover completely envelops your mattress. At around $24.99 for a queen-size, it’s an Amazon’s Choice for “bed bug mattress cover” with more than 3400 reviews. 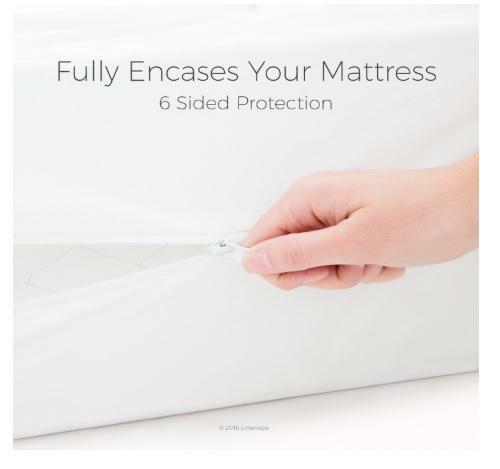 Covering all six sides and closed with a zipper to keep your mattress clean, the LinenSpa Zippered Encasement cover is smooth waterproof polyester without vinyl. 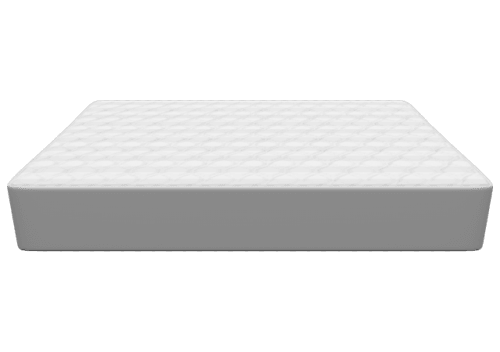 Which Waterproof Mattress Cover Should You Chose? We spend about a third of our lives sleeping, and sleep is so important. It makes sense to create the most optimal sleeping environment you can, and a clean, hygienic mattress is a critical part. 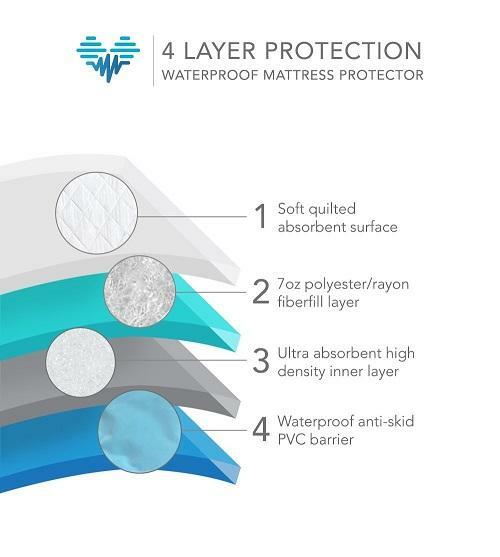 Whatever mattress protector you use to keep it waterproofed, your warranty will be intact, and your sleeping investment will last for many more years. The best waterproof mattress cover is the one that stops any kind of moisture from getting to your mattress and staining it. Keeping your mattress protected from anything damp or damaging is one of the best investments you can make after you’ve found the right one. Waterproof mattress covers come in all types and price ranges. Do some reading, and find the one that’s right for you. About Amy ODonnell Amy O’Donnell is a blogger and copywriter. She lives in rural Louisiana with her partner, two dogs and a cat, but considers herself a Texan after 18 years in Houston. Amy writes for a number of different genres, including health, technology and legal. You can visit her copywriting website amycopywriting.com and her personal foodie blog over at HeatCageKitchen, where she writes about new trends in food, health, kitchen and occasionally annoying her partner.